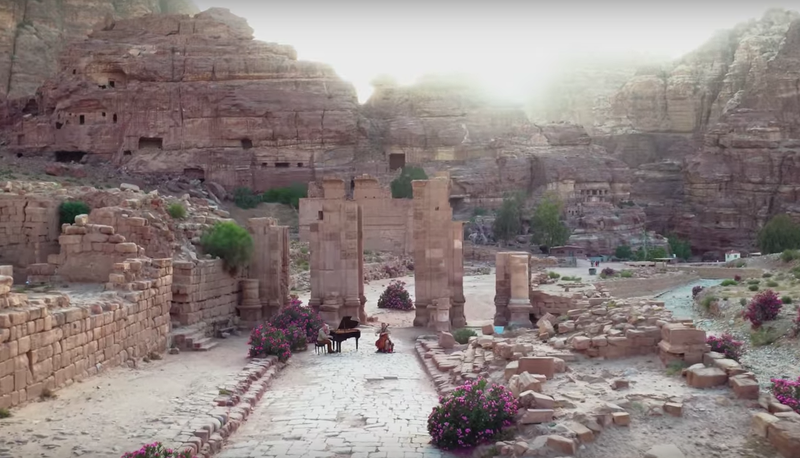 Petra, Jordan, the stunning backdrop in Indiana Jones and the Last Crusade and now the next stop on the Piano Guys’ quest to play at each of the Seven Wonders of the World. This video will take you through the red slot canyon where Indy rode his horse opening to reveal the vastness of the stone treasury at Petra. Keep listening to hear the Indiana Jones theme song get a makeover and see how the people in the streets of Amman react to have it play in their midst. Previous stops on the quest include Chichen Itza, the Great Wall, and Christ the Redeemer in Rio, Brazil, This video represents their fourth World Wonder. That is wonderful. The place is so breathtaking and they are such good musicians. I am still praying that the Schmidt family will find Anne. So sad that this could happen to them.